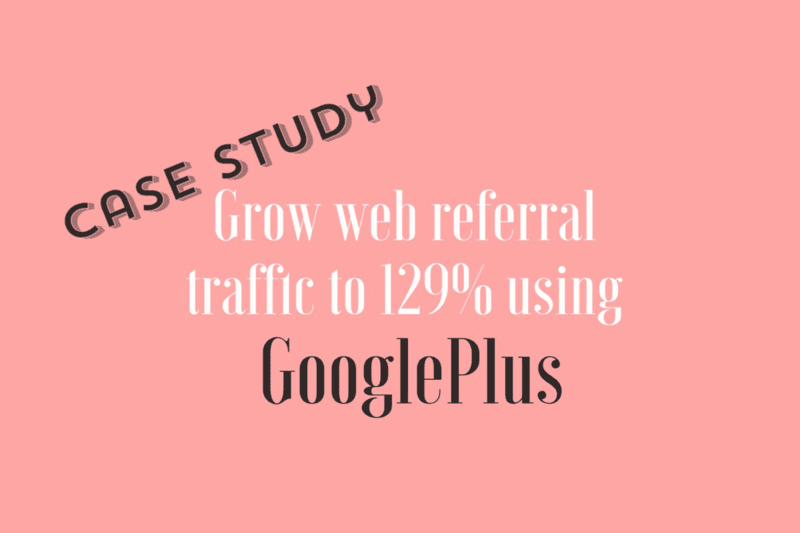 Like other social media platforms, we have used GooglePlus for a startup company to grow traffic to their site. It has underperformed when it comes to web referral traffic to their business website for a few months. Its average visits had only been 37. With traffic to the site as the goal in mind, we changed tactic on how we do posts. After six weeks, we visited Google Analytics and saw that web referral traffic grew by 129% more vs. prior month. Also, compared to overall average that is a 49% more increase in referral traffic to the startup company’s business website. And the following month later, we maintained the same tactics on Google+, it went even higher. Why are we focusing on traffic? Because that’s what the client wants. We are merely helping them using social media to add traffic to their site.